The best way to use up left over cake decorations is to do some more baking! I have a pot filled with left over flowers of various shapes, sizes and colours, so I picked out these ones to create some elegant biscuits! I usually use a biscuit recipe from the Biscuiteers Book of Iced Biscuits as they are always tasty and have the perfect texture. Click here to try their vanilla biscuit recipe. Just before Christmas I was very excited to be asked to be a God Mother and also excited about being asked to do the Christening cake. 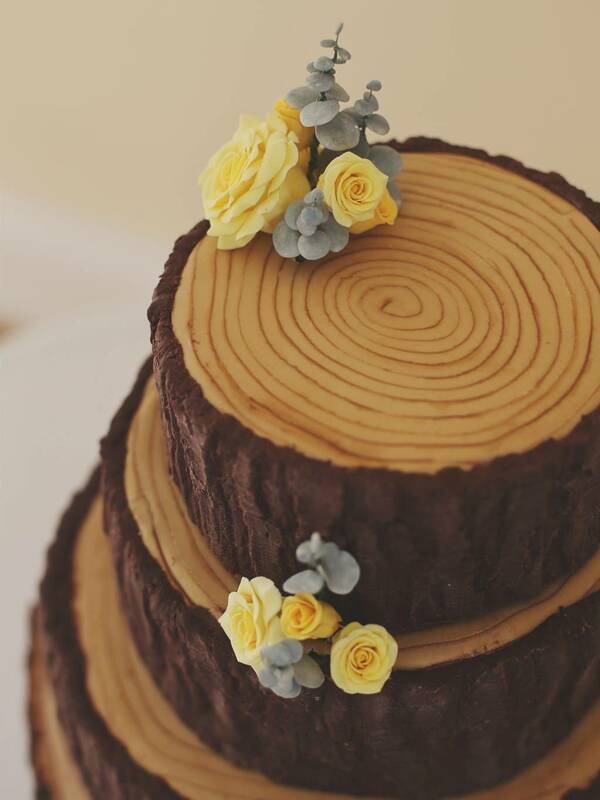 The top tier of Matt and Beckie’s wedding cake had been stored for a couple of years, so I spent a few weeks feeding it with brandy before decorating it. 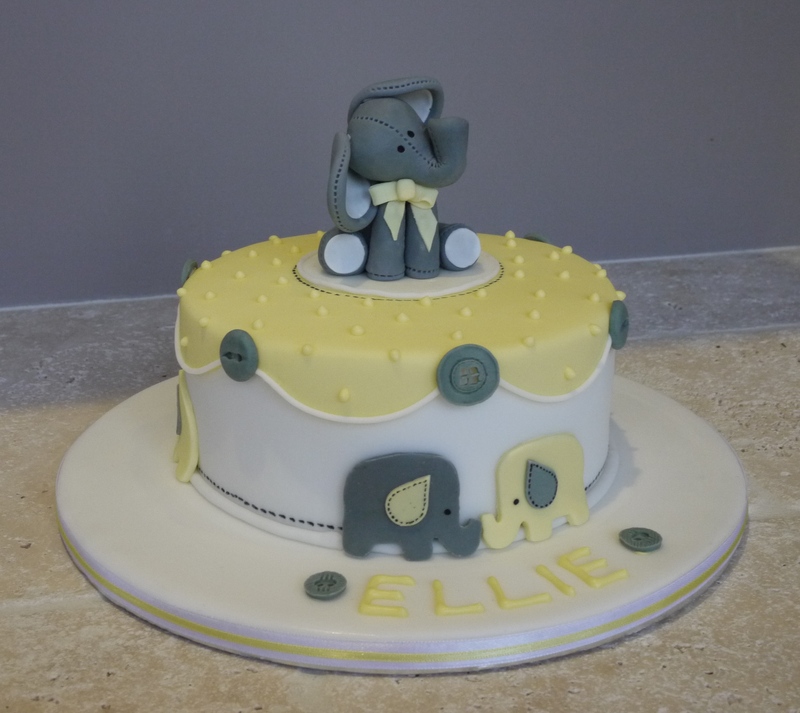 I love the grey and yellow elephant theme they chose and had been asked to do a similar themed baby shower cake for the week before, you can see the cake here. They also requested some matching cupcakes, read on to find out more about these cute elephant cakes.